This is my last post as a Moxxie Muse. I've been with Moxxie for three years, and I have had the joy of working with the most amazing people! I can tell you that in all my years of experience on design teams, my time with Moxxie was the absolute best. I am going to miss this piece of my life very much, but I know that all my muse friends will continue to be a part of my life. And, of course, I can ALWAYS pull out my Moxxie papers and play! As this is my last post, I thought I would show some of my favorite projects that I have created over the years. Join me in my walk down Memory Lane! 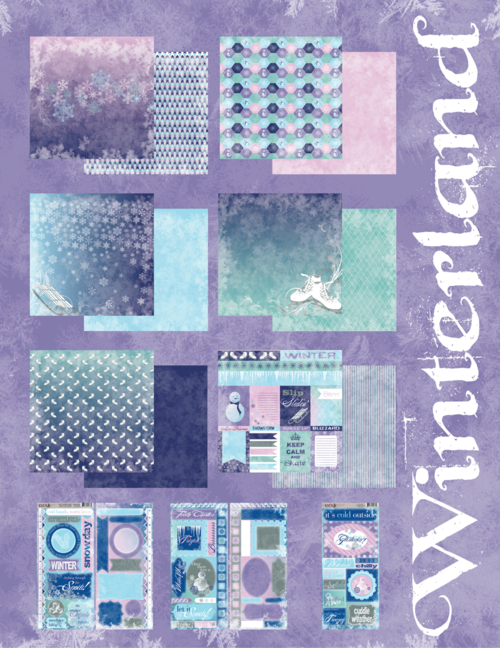 I love this layout I made for the winter CHA show this year. This uses the Fun Run collection! On to a favorite fall page and mini album, using Autumn Glory papers. People who know me well know my love for Halloween and dark things, lol. It should be no surprise that Zombie Attack is one of my favorite Moxxie lines! This layout is bold and beautiful, using Easter-rific papers! I'll always love this page, made with the grungy Basketball line. I added my own paints and mists to extend the tunnel in the picture out onto the background paper. It's been a joy working with everyone at Moxxie and with the beautiful papers. I'll miss it! It's New Year's Eve, and I can't believe it! How has another year flown by so quickly? I'm finding as I grow older that time really does fly. That realization makes me determined to make fun memories for my family. We often get those inexpensive crowns and noisemakers for New Year's Eve. Most of the time, they are a gaudy metallic color that I am not a very big fan of. This year, I decided to give my noisemakers an upgrade! It's very simple to do this, just remove the plastic tip from the cardboard flute, then roll the flute in cardstock or paper of your choosing. I used lovely Easter-rific paper! Once you glue the paper on and trim the edges down, just glue the plastic tip back onto the flute. Decorate as desired. Easy-peasy, right? Happy New Year everyone! I hope you had a great 2014, and that 2015 will bring you joy! Welcome to the Moxxie Card hop! Today our fabulous muses will be showing you some amazing cards. But before we show you some of their creations let's talk Challenge! We would love to have you link up Your cards in our Challenge, just add them with the inlinkz tool at the bottom of the page. Now for our amazing line up of Muses. Remember that this is just 1 of their creations. Thanks for joining us today and happy hopping! This is my daughter and her daughter. was perfect for these photos. I used Think Spring and Just Hatched paper. I also added a little bit of stitching. Thanks for stopping by and I hope you enjoyed. Today I have a bright birthday shaker card to share with you. 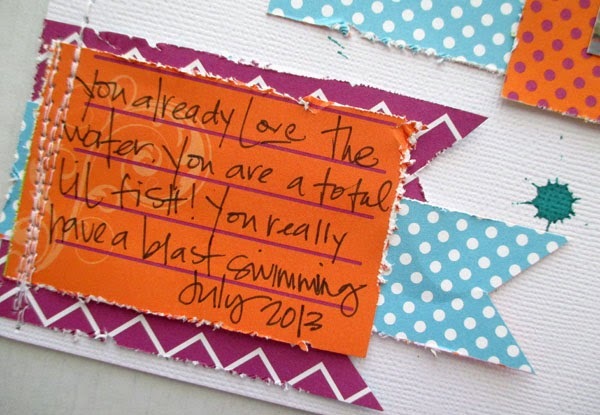 My niece's birthday is in June, and I just couldn't wait to make her a fun, girly card! I like to keep an eye on current trends, and incorporate them in to my stye. Sequins are really popular right now, and because of that we're seeing a lot more shaker cards, again...which is a trend I can totally get on board with! 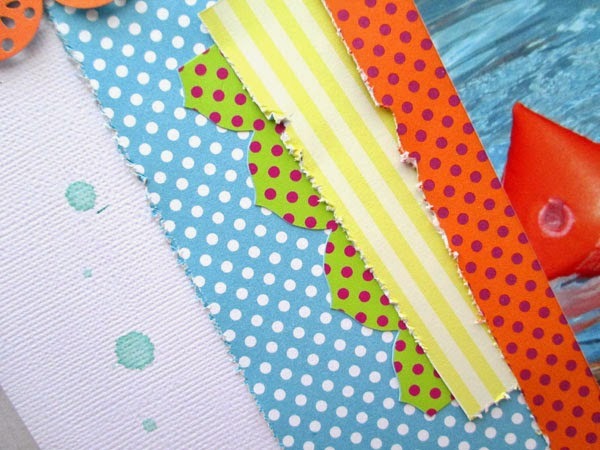 I usually don't mix and match a lot across different paper collections, but I've found with Moxxie, it's a super easy thing to do. For example, with my card today, I started with that fun cupcake paper from Very Merry Unbirthday (since it's a birthday card), but I also fell in love with that orange and purple polka dot paper from Easter-rific, so I used those papers as a starting point. I used a mix of stickers and die cut pieces from both collections to embellish the card and keep the whole thing cohesive. I think this bright and sequin-y card is just perfect for my soon to be 13 year old niece! Hello and welcome! Susie hosting the blog today. Are you like me...still trying to finish off those Easter pictures? Well here is a little inspiration using the Easter-rific line! 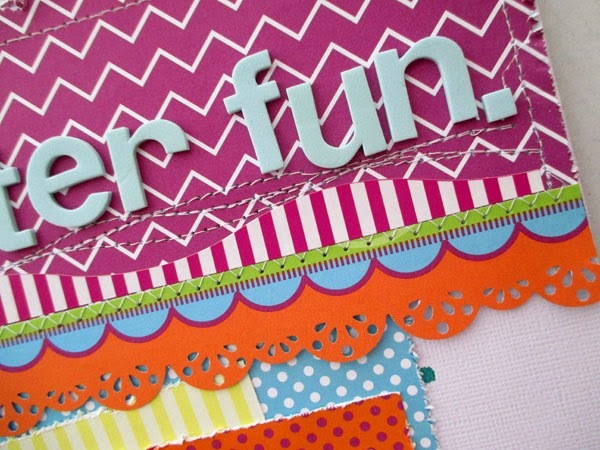 I paired the brightly colored chevron stripe on the Work of Art paper with a laser cut Easter themed overlay. When I cut along the pattern, I made sure the top stripe left was green - it made me think of grass! The little bunnies you see peeking out around the title were trimmed out of the Easter Journal Cards. Here's a close up of one of those cuties! 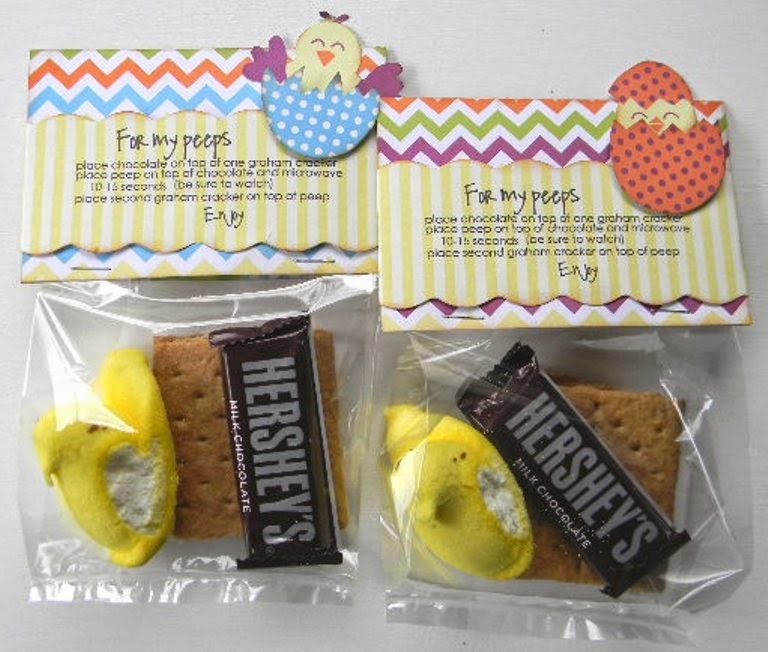 I added a couple of the journal cards to the egg shaped openings and created a subtitle by cutting "Easter" out of another card. I used a black pen to add some touches around the letters and adhered a mulberry rose for a little dimension! head to the facebook page!